Sometimes, things can go wrong with your site. Maybe there is an issue at home that leaves your computer unusable or maybe the servers hosting your site go down. No matter the cause, there is a shared problem: You no longer have your content. Anything that puts your site at risk, of course, puts your content at risk. When this happens, the site can no longer function as intended. It cannot give your visitors what they expect of you, which may lead them to going elsewhere. VaultPress is a free plugin for WordPress users that allows you to back up your content. This gives you a safety net if something were to occur that could otherwise leave you without the content you need. You will need that safety net. You might not realize it right now, but a lot of things can go wrong with a site. Say you are hacked one day or your site is compromised at all. You might not put a lot of thought into it at first, but that changes once you get back into things. That stressful situation is now far more stressful and bothersome because your content is gone. If you have had a site up for awhile, this means months or years worth of content removed. You cannot make that up in an instant. You need a backup to keep your content secure. This is where VaultPress comes into play. On top of the safety net for content loss, VaultPress also offers security. The developers know that a lot can go wrong with websites, which is why they put a lot of time into security. Content backup is a great way to keep everything working when there is an issue with the content, of course, but the available security measures take everything a step further. 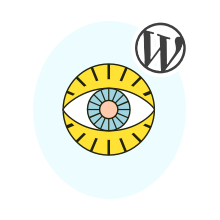 This will scan your WordPress site to find any concerns. The scans will show you progress, too, so you know what to expect. With them at work, you do not have to worry about any major issues with your site getting in the way.